Don't pay for every click. The BEST return-on-investment comes from ranking your website on the first page of Google so that you can get all the search traffic instead of having your ad end when your budget runs out. Let us go over our transparent strategy for helping your business. Of all of the online marketing avenues that we've tested, ranking your website in Google provides, by far, the best ROI. SEO is an acrynim for Search Engine Optimization and is the process of increasing your webpage's organic listing in search engines. SEO is the fourth stage in our Online Marketing Roadmap. The first three stages are Logo / Branding, website hosting, website design and then SEO. SEO is different from Google Adwords (a PPC campagin) because it allows your business to recieve all of the traffic for a keyword during the month instead of stopping your listing when your budget runs out. This is huge! Our purpose is to help your business identify how your customers search online and then to craft a SEO strategy for how to rank your site on the first page. Watch the video for a quick intro on SEO. What Does SEO Cost In Fort Collins? Not all keyword phrases are the same. Some keywords, like Fort Collins Roofing or Fort Collins Lawyers, are extremely competitive with dozens of businesses competing for the first page of Google. Plus these keywords have extremely high Pay-Per-Click costs. For example, the keyword phrase "personal injury lawyer fort collins" has a Pay-Per-Click cost of $225!!! Compare this to the keyword phrase "Party Supplies Fort Collins" which there is only one store specifically for party supplies (Party City) and literally no competition. Meaning that it would take more time to get your website to the first page of Google in competitive niche's compared to un-competitive industries. Are you looking for the best SEO ranking company with a complete SEO system to help your business rank organically in Google? 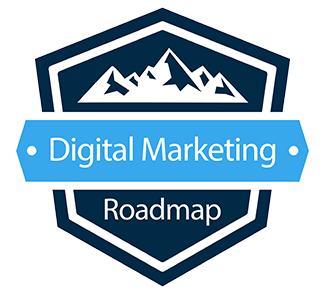 Have a look at our SEO Marketing Roadmap and let us know if you think we're a good fit. The first step in starting SEO services is always research. Identifying your products and services and how it correlates to how your customers search online. After we identify your top ROI products and services, it's time to build a list of all the keywords that your clients type into Google to find your business. On-Page SEO is the act of updating your physical website so that it abides by Google guidelines and lends itself to what your customers want. This stage is HUGE! Now that we have a list of keywords that customers search for, it's time to see if your website has the right content for what your customers want. If not, it's time to start writing. And creating persuasive and engaging content for the site. On top of keywords and creating content that sells, link building is the biggest aspect for ranking on the first page of Google. This is one of the hardest aspects of SEO and it'll be our job to build links on as many reputable sites across the web. This is known as White Hat SEO. So, we're the good guys! The basis for online marketing is the return on investment and SEO is fabulous for that! The amazing part of SEO is that everything is trackable. We'll setup monthly reports so that you can see when your rankings start improving and in tern, your traffic and sales will increase as well. And it's all in black and white. What is Local SEO? 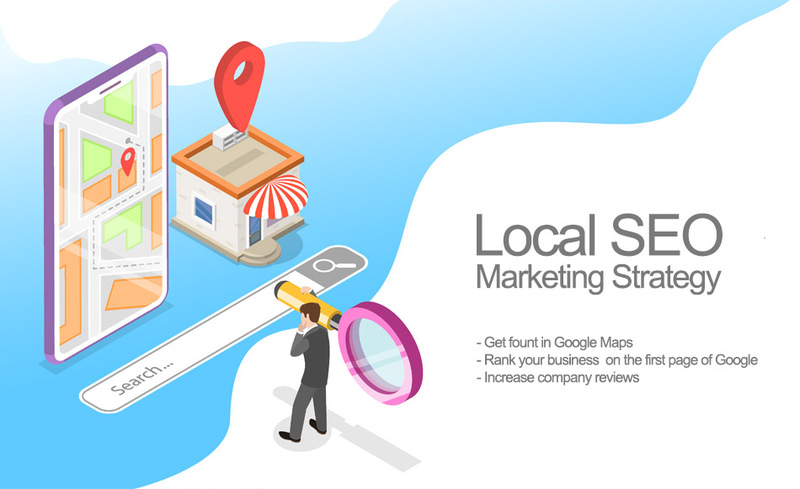 Local SEO helps businesses like dentists, lawyers, accountants, contractors and other small businesses rank in the Google Maps section along with reviews. How is your local profile? When searching for a local SEO company, you will want a company that will help your business in all aspects. As mentioned in the SEO video above, keywords and backlinks are huge for your website. But for a business who works locally, it's imparative to also work on local SEO. What is Local SEO? Local SEO is the process of listing your business name, address and phone number throughout local websites throughout your area. Google mentions this type of business listing as a citation. Another huge part of Local SEO is your Google reviews. (See image on left). Local SEO offers huge benefits for local businesses. Think about it when you went traveling last. When you searched for a hotel, what did you do? You went to Google and did a search right? May over to Trip Advisor? Then you checked out the reviews for the business and it's location in proximity to all the events that you will be doing. Our job is multi-fold, to help your business put a plan in place to get Google reviews and to list your business throughout local sites with the correct business name, address and phone number everywhere. Inconsistent NAP can hurt your business. Not sure where to start? We can help. Give us a call to touch base. Our office at infule is here in beautiful Fort Collins, Colorado. We not only provide SEO services here in Fort Collins and throughout Colorado, but throughout the United States. Here's a quick list of the locations that we currently service.